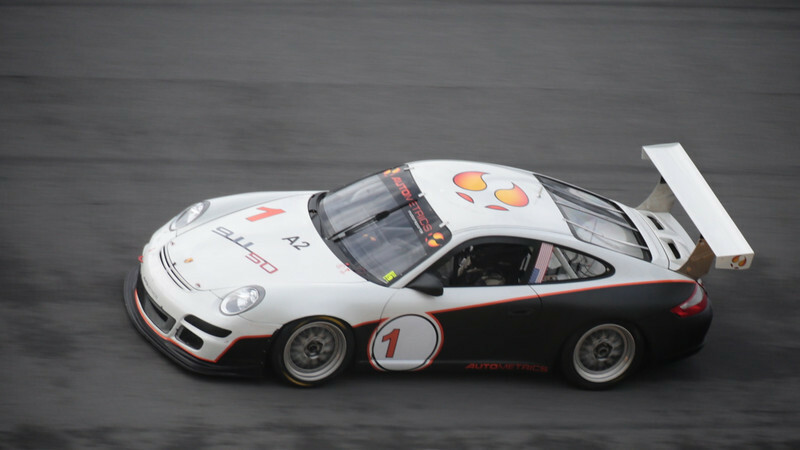 Fresh off wins at HSR’s 50th anniversary of the 911 at Daytona and Porsche Club of America’s Road America event, our current, highly-competitive, heavily-updated team car is now for sale. This 997 is one of approximately 11 GT3 Cups built by the Porsche factory to Grand Am specifications in 2008 and has since been the recipient of a vast array of the best performance parts available for the 997 including: 997.2 rear wing on factory Cup S uprights, RSR brakes, RSR exhaust, RSR anti-squat and anti-dive suspension links, seam-welded suspension pickup points, carbon fenders, carbon bumpers, cockpit-adjustable swaybars, and Bilstein MDS shocks. Completing this formidable package is the fresh 3.8 liter engine built to the tune of 445hp at the wheels, a Bosch MS3 Sport Cup ECU with traction control, and a fresh transmission. As we need to clear space for a new team project, we need to move this GT3 and have drastically reduced the price to $$$$$$. 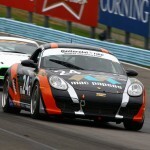 This GT3 is ready to win races right now with nothing more than the push of the starter button. There is, simply put, no better, more affordable way to win Cup races in 2014. 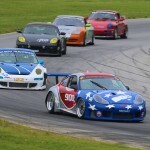 This GT3 Grand Am Cup was purchased in 2008 by a front running team and campaigned for two seasons including the 24 Hours of Daytona and several other Grand Am events. The car then sat, unused, from 2010 until our purchase in 2012. 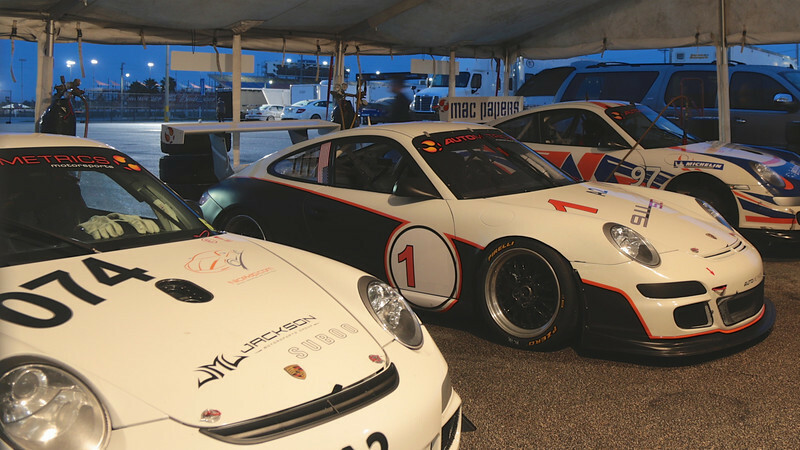 Once in the Autometrics Motorsports stable the GT3’s mechanicals were thoroughly inspected and freshened. Underpans were removed and the car was steam cleaned from top to bottom. All fluids were flushed, seals evaluated and replaced where necessary, and every last mechanical component inspected, cleaned and evaluated. 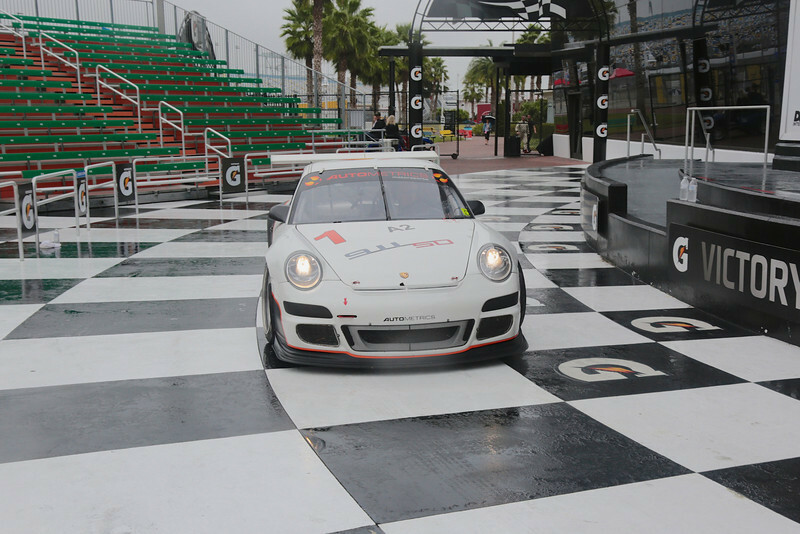 A laser-alignment and a corner weight adjustment were performed and the GT3 Grand Am Cup was then evaluated on-track where its setup was further refined and where the GT3 won regularly. At this point, it was clear that the chassis was both fully-sorted and as good—or better—than anything else on track. This GT3 easily kept up with and bested far more powerful Porsches despite the somewhat mild 3.6 liter it had retained since purchase. The engine and transmission were then pulled, steam cleaned individually, and wheeled into the cleanroom. Every component was then broken down to the last nut and bolt. All internals were inspected, tested, and replaced if they showed the slightest flaw or wear. Larger pistons and liners took the place of the old 3.6’s and everything was then reassembled to our highest 3.8-liter spec. A new clutch was installed and the GT3’s original blue axles were replaced with large-flange RSR green axles and CV joints. Completely reassembled this package made 445 SAE horsepower (at the wheels with the noise filter set at 3) on our in-house Dynojet chassis dyno. 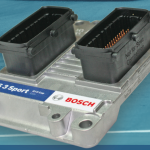 Finally, we added a Bosch MS3 Sport Cup ECU and programmed the GT3 to run with traction control. The only element of this GT3 that can be improved are the aesthetics which, to be perfect, would require a new roof panel (a not-uncommon repair performed to correct small dents and holes left from removed antennae) and new paint. We have deliberately left the roof panel alone as it does not affect the car’s performance and—as its replacement will necessitate the painting of the GT3—we want the next owner to have the option to paint the car as they choose. This work can be performed by Autometrics Motorsports for an additional charge post-sale. 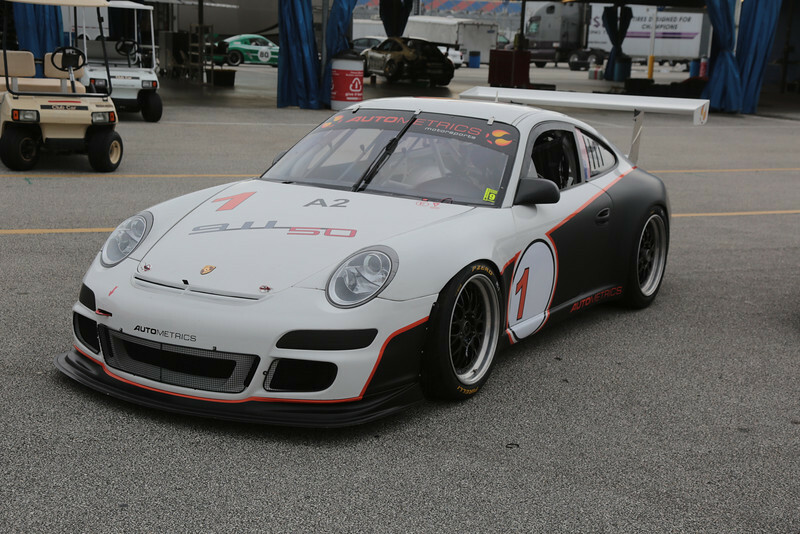 With outstanding mechanical condition and an extremely high level of tune, this GT3 Grand Am Cup stands ready to win races in 2014 and represents the most car for the money currently available in the Porsche marketplace.